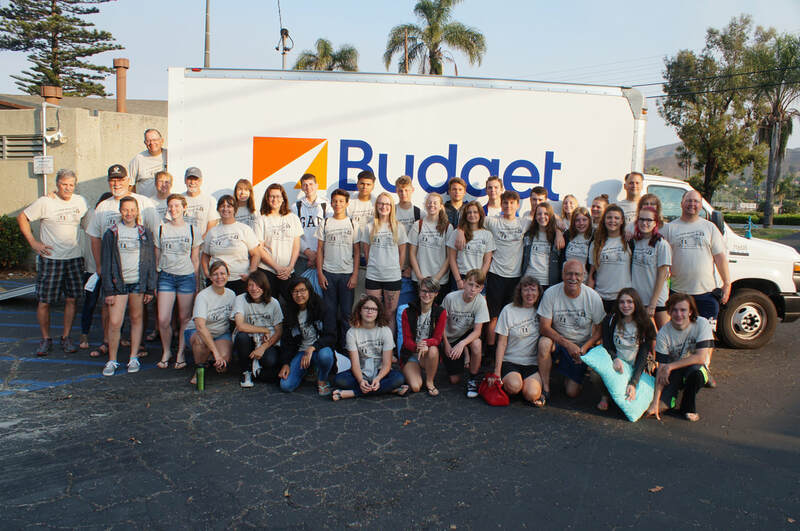 ​Forty-one participants, including twenty-eight youth and thirteen adults from seven churches, spent a week in Ventura, California, where we were hosted by College UMC. Six teams worked on painting, repairs, and groundskeeping tasks at College UMC and Ojai UMC, as well as repairs to some private homes, an animal shelter in Ojai, a food bank in Oxnard, but the vast majority of our work was done at The City Center, a transitional homeless shelter in Ventura. Youth gutted and framed out 4 living units, installed doors and windows, installed soffits in building unites, repaired a collapsing porch, and readied units for occupation. For more photos and information about this trip, please join our Facebook group It's Their Mission Arizona.